Daniel Negreanu is the world’s most winningest poker player, with $31,196,855 in winnings to his name at time of publication. He’s made headline with big cash scores. He’s made more TV appearances than most poker players combined. In a nutshell, he’s huge. Erik Seidel is almost just as impressive, with $26,554,546 in winnings to his name. And not far behind him with $26,246,704 is Antonio Esfandiari. Nicknamed ‘The Magician’ his victories are no illusion. He really is that amazing. Phil Hellmuth might come in at #8 in terms of the poker pros who have won the most money, but he’s won the most World Series of Poker bracelets with an impressive 14 of them donning his wrist (or, at this point, his arm). No other poker players has more, nor do any come close. These guys are huge, raking in tens of millions. And it’s not just these guys. There are almost 40 poker players who have won more than $10 million on the live tournament circuit. And hundreds more have won millions. You’ve heard of many of them, but even more impressive than these guys are the ones you have never heard of—the guys playing like champions online, raking in big money every day and earning enough to not only make a living, but live incredibly comfortably. Poker isn’t just a game. For many, it’s a career, one that can be very viable if you’re good at playing cards. But it’s not just about blind luck. Poker is a game of skill and there are strategies you can employ to do well at the tables. Today, we’re excited to bring you the top three poker strategies that pros keep in mind every time “shuffle up and deal” is called. Pro poker players can afford to play loose. But if you’re on your way to becoming a pro, if you’re still in the early stages of poker, you might want to reconsider this method of operation. Far too many new poker players limp into pots, call a fre-flop raise, and then check or fold the flop when the card gods don’t answer your prayers. It happens far too often and it will continue to happen until you’re coached out of this specific behavior. Consider this your coaching session. Stop limping. If your hand isn’t solid, drop it if the flop hasn’t hit yet. Limping in and then tossing your cards away will only lead to a diminished chip stack. That’s not to say that you shouldn’t mix up your style of play an be loose. That’s not to say that you shouldn’t be aggressive. But you’re better off tossing away decent cards that could have won than playing ones that are sure to lose. If you have a top pair, two pair, or another solid hand that seems destined to win, they’re called value hands. They’re great, but their actual value is determined by who is in the pot. If all your opponents fold, your hand is pretty much worthless. Winning without a showdown with a pair of Aces is as great as winning without a showdown with the worst hand in poker — 7,2. When you’re holding something solid, your goal should be to get as many players as you can to the river. Remember, poker players like to see showdowns. You want to see them. And your opponents want to se one. No one really wants to bow out of a hand if they’re holding something half-decent. With that in mind, you can use this to your advantage. By getting your opponents to the river, you can pretty much force them to call a value bet. The trick is to not make it too large. And you’d be surprised by the number of players who actually call these value bets. In fact, one of the biggest mistakes poker players make is calling a value bet. The goal here is to not make that mistake, but rather get your opponents to make that mistake. A lot of players want to end hands early if they think they’re holding the best hand. They fear getting drawn out on, but really that type of thinking is counterintuitive. Only end a hand early after betting strong when you’re holding nothing but something super weak. When you have something worth showing, make sure your hand gets to a showdown. It’s that simple. You’ve probably heard that line that in poker, you shouldn’t play your cards. You should play the player. That’s only half the story. Your top job as a poker player, online or off, is to pinpoint the strategy of all players you’re facing off against and develop a strategy that works against them. At the end of the day, the cards in your hand don’t actually matter. You could be holding a pair of fours against pocket sevens and know that you’re beat, but if you know that they have a mid-pair, likely higher than yours, you can modify your bet to force players to think you have them beat. It’s all about figuring out how they’re playing and, as a result, why they’re making the calls they’re making. When you can do that, winning is easy. We’re not an online poker site. At Silver Oak Casino, we’re all about casino games, like slots and table. But we do recognize that poker players love casino games, and vice versa. That’s why you’ll find a big collection of video poker games. In video poker, you don’t play against other players. Instead, you pretty much play against yourself. Video poker games don’t even pit you against another hand. 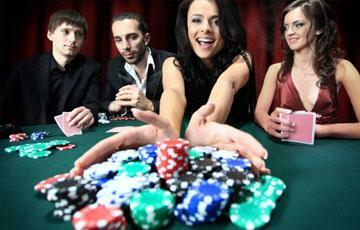 Instead, your goal is to rank on the poker hand ranking system, which is essentially an escalating payout table. If you rank, you win cash. It’s that easy. While some of these strategies don’t exactly cross over into the video poker world, Silver Oak Casino is a great place to practice your poker game overall, particularly if you’re a fan of Texas Hold’em or 5 Card Stud. Games are open 24/7 and there’s never a lineup for a machine. So create your free Silver Oak Casino account and ante up.